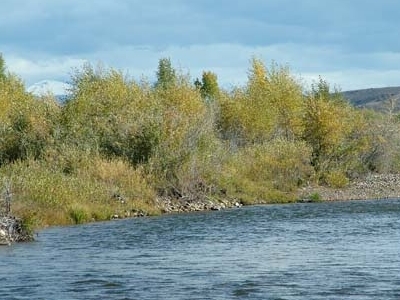 Bear River State Park is a state park located just outside of Evanston, Wyoming, USA. The park was established in 1991, and takes its name from the river that runs through it. 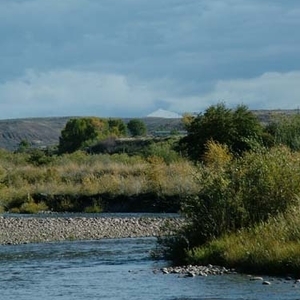 The Bear River, was named as such by trappers in the 19th century due to the many bears that frequented the area. Bear River State park offers ideal areas for picnicking, hiking, wildlife viewing, remote control cars and many other activities. 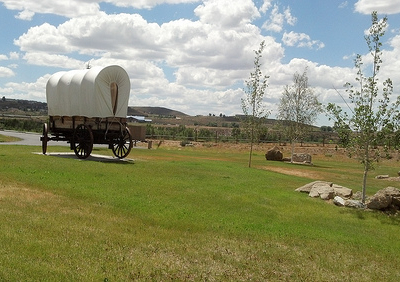 The annual Bear River Rendezvous is held in the park on the weekend before Labor Day. The park contains 300 acres (1.2 km2) of land and is connected to Evanston via the "Bear Project" a greenbelt activity offered by the city. The park contains nearly 3 miles (4.8 km) of foot trails, including 1.2 miles (1.9 km) of paved trail and an arched footbridge that crosses the river. Another 1.7 miles (2.7 km) of packed gravel trails are on the west side of the river. The foot trails in the park are also frequented by cross country skiers in the winter. Here's the our members favorite photos of "State Parks in Wyoming". Upload your photo of Bear River State Park!